A teenage girl can be an especially tricky person to shop for. It can seem like their likes and dislikes change from day to day – and good luck getting them to talk to you if you ask them what it is they want. Whether it's something special for your daughter, niece, or just a friend, shopping for a teenage girl can be a stressful experience. You want to be mindful that you aren't buying something too childish, but you also don't want a gift that's too adult-oriented for her age. Striking the right balance can be a challenge, but it's the key to finding just the right gift. If she's like most teen girls, she can be moody and temperamental at times, but deep down she really is a sweet, caring, kind, and generous person, and you want to find a meaningful gift that's going to knock her socks off. Or, perhaps you want to find her something useful she can enjoy for years to come. The right gift depends on the type of girl she is, what kind of relationship you have, your budget, and other considerations. To help you weigh your options and find the best gift ideas for the teen girl in your life, we've put together some helpful tips and guidance to make the shopping experience a little less excruciating. When it comes to choosing a gift idea for a teenage girl that's sure to be a hit, think about the types of hobbies and activities she enjoys, her typical style, and her personality. If you're not that close with her, it can be a bit more challenging to find the ideal gift. If that's the case, you might consider asking her friends or family what type of gift she would enjoy. Think about how she spends her time. Does she hole up in her room reading the latest page-turner? Maybe she's really into fashion and makeup. Does she enjoy going out with friends, or is she more of a homebody? Perhaps she's an athlete or major sports fan – if so, sports memorabilia from her favorite sport or team might be just the ticket. Avoid giving something over-the-top and flashy to a teen girl whose style or personality is more subtle and low-key. Finally, think about how much you would like to spend. It's easier to narrow down your gift options if you have a price range in mind. Not sure where to start? Check out our top five gift ideas for teenage girls below. Teenage girls prove an especially challenging group when it comes to gift-giving, but we've found five top-notch options that might make the perfect gift for any young lady. Even if one of the below ideas isn't a fit, they might just inspire you to come up with a great gift idea of your own that's perfectly in tune with her unique personality. 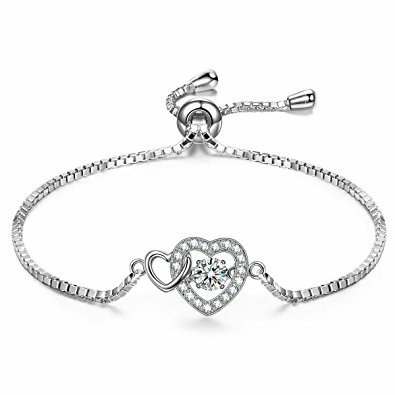 Helping a young lady to build her jewelry collection is rarely a bad idea, and this pretty little bangle makes an excellent accessory for any outfit. It's adjustable to fit wrists from 6-9.6-inches and weighs just 0.22 oz. It comes in an elegant gift box that is ready for giving – but if you want to wow her even more, you can include a jewelry box to help her store all her treasures. What girl doesn't enjoy spending some quiet time in the bath, soaking away all the day's troubles? 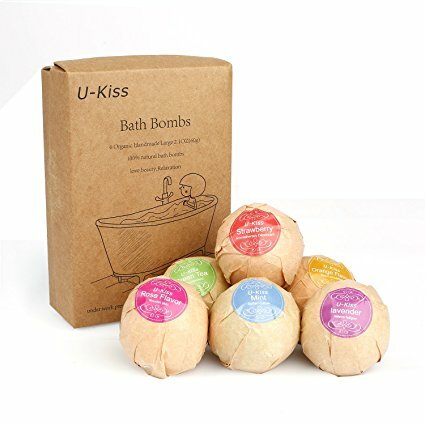 This six-piece set is handmade from all-natural ingredients and essential oils for producing specific effects, such as moisturizing dry skin, relieving itchy skin, improving circulation, and even alleviating fatigue. They boast all-natural colors that won't stain the tub and are free of chemical fragrances, too, meaning they won't irritate skin that's sensitive to added fragrance ingredients. Perfectly packaged in a classic brown box, each bath bomb is individually wrapped for a spa-like vibe. If the teenage girl you're shopping for happens to be a bookworm, she needs this title on her shelf. Filled with inspiring stories from some of the most influential women and girls around the world, it's sure to provide her with guidance on overcoming obstacles and challenges in her life while encouraging her to seize life's opportunities. 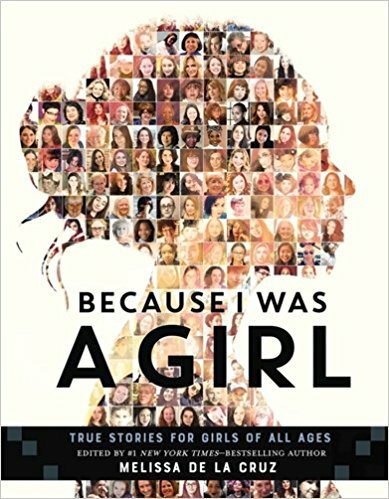 Featuring stories of incredible women throughout history, it is an important book for readers of all ages, and is sure to help inspire her to believe that she can do anything – which she can! All young girls have dreams, and this thoughtful gift idea will help her keep her dreams front and center. 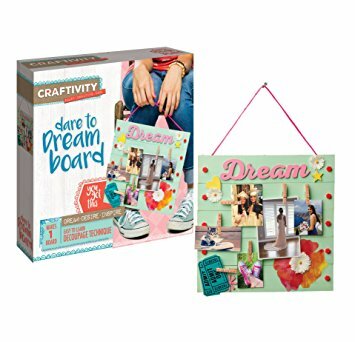 Perfect for holidays, birthdays, or any other special occasion, this dream board craft kit includes everything she needs to create a vision board filled with her future hopes and aspirations to help her stay focused on her goals. It comes ready to assemble and paint to suit any personal style, and it also includes instructions for learning how to decoupage. This is a great keepsake that she can carry with her through the years as a memory of her teenage years, and she can update it through the years as she achieves her dreams and sets new goals. Nail art is all the rage these days, but it can be very expensive when done at the salon. Now, teens can create their own custom designs from the comfort of home. 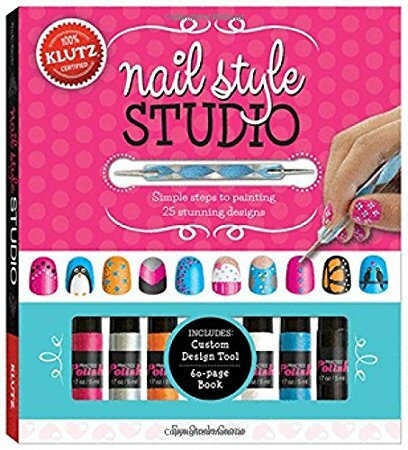 Perfect for slumber parties, birthdays, or girls' night in, this kit includes step-by-step instructions for 25 fun designs and six polish colors to get the job done. The polish easily peels off when she wants to switch up her look, while the stick-on stencils and salon-style design tool make even the most complicated-looking designs easy to achieve. Teenage girls can be a real pain to shop for, but don't sweat it – if you can't come up with a great idea based on her interests, personality, or lifestyle, these five ideas are great go-tos with broad appeal.